Debunking the Tupperware-gate: Was There Even A Plastic Container? My mom used to sell Tupperware. Yup! I still remember how she used to go visit one home to the next to offer her wares - Tupperware(s). But she's so quick in leveling up this particular "career" by getting herself promoted immediately from being just an ordinary home-to-home seller to an area manager of some sorts. This part I was too young to remember but I do get the feeling that she was something like a boss back then because she has "people" under her who gets the bulk of Tupperware orders from her. The Tupperware home parties was probably a big hit too since it was so nice seeing so many different kinds of plastic food servers, containers, keepers, etc., on the table. 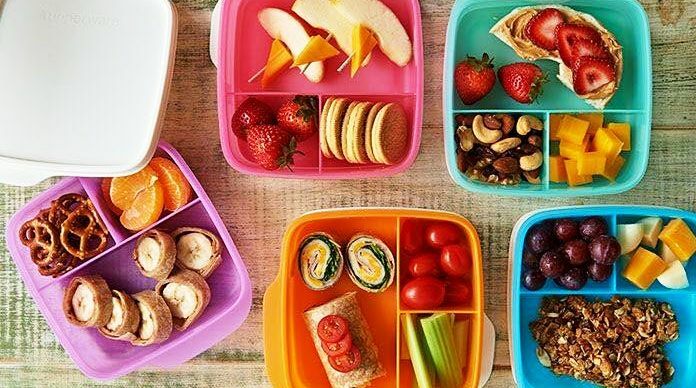 From plates to salad bowls, glasses and storage bins, Tupperware has them. They also have these policy that you can return any Tupperware item that breaks and they'll replace them with brand new ones with no questions asked. So basically, the brand had a great reputation and marketing scheme, and until now they are still on it. Though there may be some competitions around, the Tupperware brand still seems to be the most popular. This is probably why it was the branding that was given to a blogger accused of "stealing" food from an event. The news about her so called despicable act spread online because of some bloggers and their friends who were all itching to jump on the bandwagon of hate and persecution. This issue even made its way to another publication who even included a quote from the blogger. Well, I have to say that the article was a bit comprehensive but actually pertaining to food blogging dilemmas instead. Still, even though the writer included so many facts and quotes from other people, she still left out an interview with the accused herself. That made her article incomplete because it is always important to get all the facts from the other party (especially the accused) involved. As we all know, inclusion of select quotes would never quantify the entire story. The article, even though it tried to raise the issue of how questionable food blogging is, added further injury to the blogging community because it was specifically pointed to bloggers. Isn't she aware that even legit traditional media review, and take home, food and restaurants as well? Don't even let me get into the sponsorship, advertising and/or "enveloped" ways of giving thanks for their support towards a brand. The difference between traditional media (TV, Radio and print) and online media (including bloggers) is already so hardly seen anymore because we see trad media following the ways of online, and vice versa. The bashers responsible for spreading the rumors couldn't even get their information right. The accused blogger said there was no Tupperware involved. She just wrapped the food in tissue and put it in her bag. But I guess the term "Tupperware-gate" was only meant to generalize similar acts. It just proves that the Tupperware brand is highly recommended for all your food storage requirements. They've already judged the blogger as guilty and pronounced her as a thief. Her pregnant daughter jumped into the "hate-full" conversation to save her mother from the wrath, not thinking that the rumors about her and her mother may cause harm to her delicate condition. Admirable, but sort of crazy. Her mother is tough enough to fight her problems on her own, but the rest of us who understand that all these bashing are senseless should stand up and put a stop to these stupidity. Hey, I bash also. But only to react and ridicule the "professional" bashers instead, most especially those that would even write "love letters" to brands, PRs and event organizers, to put down other bloggers so they would gain monopoly of the industry. Attacking them would probably make them realize that bashing is not even worth any of our precious time because it only asks for a retaliation from both parties and further brings down the perception of people about "online publications." But even after we all know that the hate towards bloggers should not be discussed on public forums or threads because it only aims to ruin reputations, "hate-full" bloggers continue to ridicule her like she's the most evil person in the world. The hate bandwagon has always been a public party among social media friends who immediately jump in on the bashing without even knowing all the facts. Regardless if she's guilty or not, we cannot convince her to do better if we personally attack her without giving her the opportunity to explain first. You don't shame people in advance....then explain that the thread was all about saving the blogging community. You've already damaged her. Talk about adding pain to the injury - of being seen on CCTV? That particular report that she was seen on CCTV was even disturbing. How could bloggers have access to the video footage or even get reports about it if the "casino and hotel" did not leak the information? Shouldn't there have been a questioning first between the "casino and hotel" with the accused, rather than giving out this information already to other people? I'm sure they understand that this accusation of "theft" is a highly sensitive matter that may ruin a reputation if not dealt with accordingly. Isn't there a protocol that should have been followed? We are not siding with the blogger at all, or anybody else for that matter. But, when food will only go to waste, even the organizers themselves would take them out. They have the authority to do that because they are responsible for the event. Though we encounter a lot of events where the organizers encourage everyone to take home the left-overs, it is not really very "classy" to have take-outs on either paper/plastic/foil/cardboard or even Tupperware, especially when there are still people eating. Stay away from being tempted to bring home those yummy dishes when some people are still around. It may be a compliment to the chefs that you appreciate their cooking, but let everyone else have their second or third serving, please. Wait until everyone has left, and then (when very few people are looking) you discreetly ask the organizers if you could take home the left-overs. OK lang yan kapag close kayo ng PR, or makapal ang mukha mo, or may advocacy ka to give food to the needy street children or those at the squatters (informal settlers) area, or you just couldn't stomach seeing good food go to waste. To the journalist who wrote the article putting bloggers in a bad light. Please complete your information. Get the side of the blogger you quoted. We prefer to read an article where you also reached out to the parties concerned rather than just grabbing a few quotes here and there, then arriving at a conclusion based from those itsy-bitsy information. When you confine the issue of "taking out food" among bloggers only, that is totally a wrong perception. Everyone appreciates being able to bring home something from an event whether they may be tokens, GCs, "envelopes" or "ampao", or even the excess food. BTW, to those who intentionally get too much food from the buffet, or from wherever, and then end up only to request for them to be taken out, that is also quite "unethical." Still, that is your life. Your blog, your rules. But be prepared to expect a consequence out of that action. To the bashers, it is much "classier" to wait for the organizers to come out with their official statement. Huwag laging nangunguna sa chismis lalo na kung wala naman pruweba. If all you have are hearsay, and you can't show any proof or evidence, better hold back on the rumor-mongering and wait until you could post a copy of that CCTV video footage, if ever there was really one that shows the true nature of the "crime." Remember that all that negative talk will surely backfire at you. You may be able to persuade others to believe in you, but that would be limited among the weak-minded and gullible people. I am positive that the number of respectable and considerate people outnumber those who quickly judge people based from only a few facts.